Surround yourself in serenity and beauty. We are happy to meet any and all of your ideas to personally customize your yard. At Green Visions Landscape, we work with you, giving our professional assessments on aesthetically pleasing, practical plantings and designs. 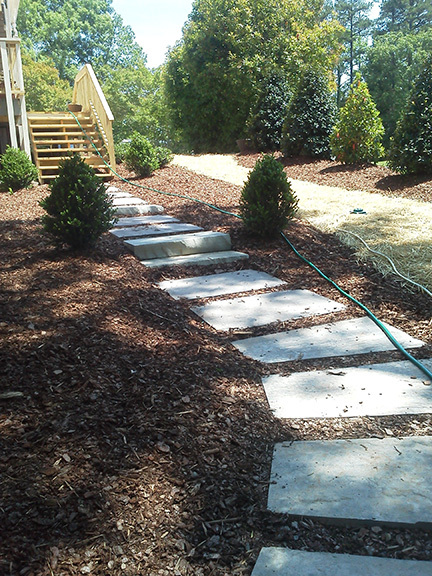 We will develop a landscape design that will bring your dream yard to live, and please your pocketbook. Whether you want to enhance a stunning view, make your home more comfortable, compliment your property or contribute to the practical effectiveness of your home, we are always willing to work with our customers from the simplest projects to luxurious yards and lawns. Feel free to contact us to schedule a consultation! Invest in your yard today, and see savings for years to come.